Bundle up and let the pups lead the way as you explore British Columbia’s winter wilderness by dogsled. This historic method of transport used by Canadian fur traders and gold prospectors still echoes through BC’s frozen landscape to this day—along with shouts of “Gee!” and “Hike!” Enjoy dogsledding at many winter resorts in the province, including Whistler Blackcomb, Sun Peaks Resort in the Thompson Okanagan, and Kicking Horse Mountain Resort in the Kootenay Rockies. Sit back, feeling exhilarated, as the eager team of huskies flies over snow-blanketed trails, panting and yipping with excitement. Want a once-in-a-lifetime winter vacation experience? Go dog sledding in BC’s Thompson Okanagan region at Big White Ski Resort, Sun Peaks Resort and more. 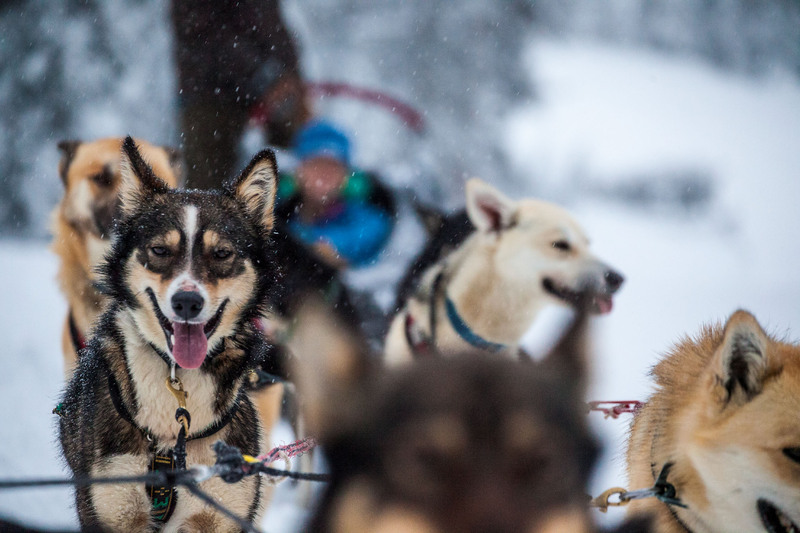 What do dog sledding and delivering the mail have in common? In Barkerville, BC it's the historic Gold Rush Trail Sled Dog Mail Run. BC's north embodies the iconic Canadian winter. Time your visit to see some of the best winter festivals, such as Fort St. John's High on Ice. Planning a weekend road trip to Golden this winter? Our blogger shares her favourite places to eat, play and stay.